Featuring our handmade “Ebony” all wooden watch with our adjustable ebony wood band. ****If you would like to have an engraving on this specific watch, it will take approximately 7-10 days to process and ship. This specific watch is highly water resistant and the back plate is made from stainless steel, which will have to be engraved with a different laser. If you do not choose to engrave, we can have it shipped out within a few days. 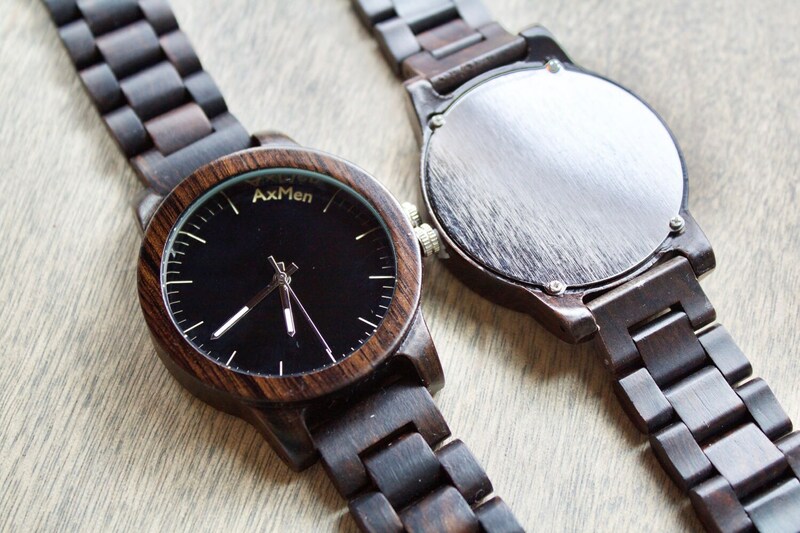 Most of our other watches have a wooden back plate, which can be engraved and shipped sooner.